Sometimes I wake up, get to work and just wish that I could rewind time a bit and crawl back into bed. In my dreams it would be a bed like one of these beautiful ones. Ahh, to be able to go back home and get in bed would be so nice today. Do you ever get that feeling? Photos from, top to bottom: Zoldan Interiors, Amanda Nisbet, Anne Coyle, Carla Lane Interiors photo by Tim Street Porter, Katie Ridder, Katie Ridder, Kwinter and Co., Massucco Warner Miller, Massucco Warner Miller, Mcgill Design Group, Palmer Weiss, Philip Gorrivan, and Sarah Richardson Design. Wow, I didn't see a headboard I didn't like. Lovely post. 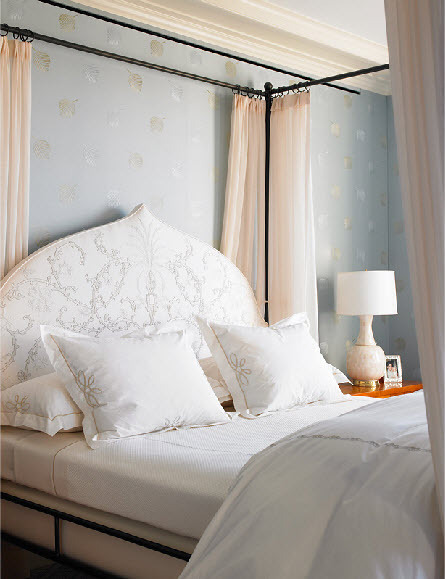 I just love dreamy, feminine bedrooms like these. Unfortunately my husband would never go for it. Darn boys always spoil the fun. 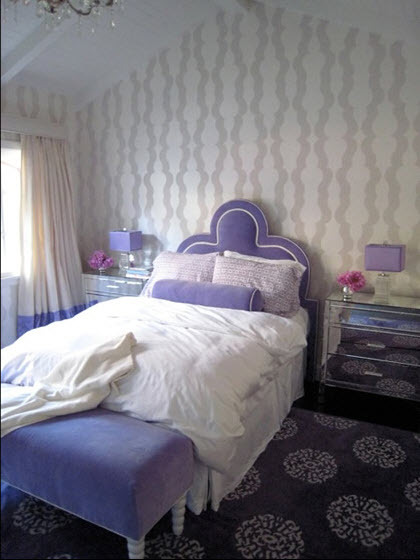 I love the 2 purple/lavender rooms! Do I ever NOT get that feeling? Love all of these...may have to pinch a few purpley ones. 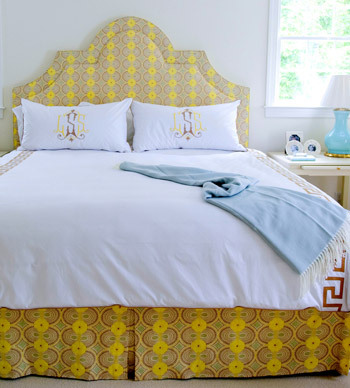 Every single one of these bedrooms has something I LOVE! 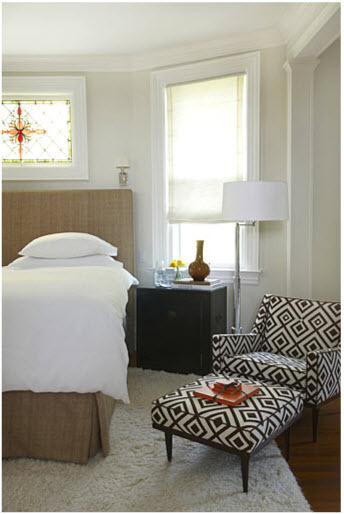 Either the fabric or the color or the wallpaper...gorgeous rooms! 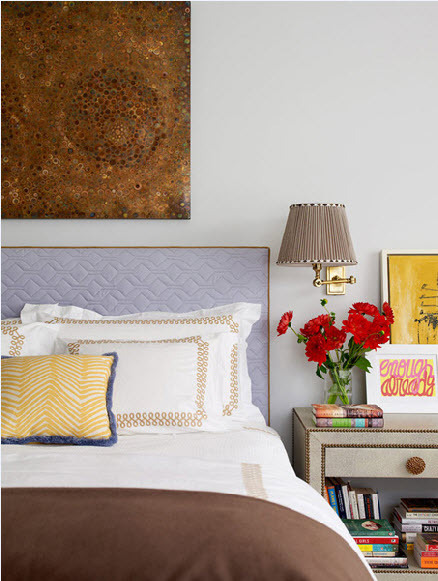 I love the idea of a daily nap or just crawling into bed with a good stack of magazines and a cup of tea. A girl can dream, can't she? All the time. I love, love love these images. What a gorgeous collection of images! 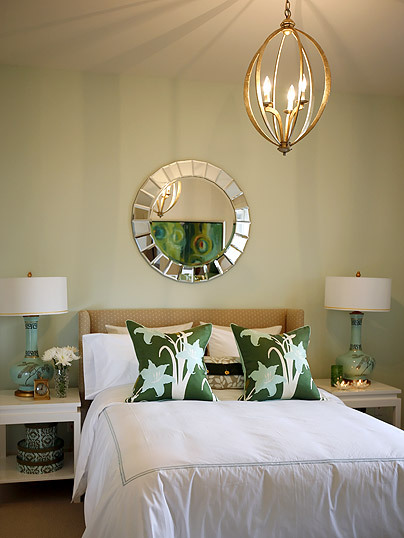 Some people focus on the 'public' spaces to decorate first (and I must admit, I did this too), but there is something so amazing about a master bedroom that is beautiful and decorated to suit the owner's style. I love these rooms. Gorgeous! 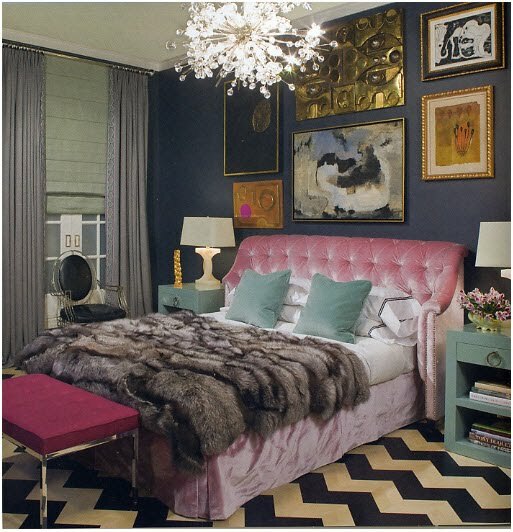 Ohh yes, my dreams would be much sweeter in any one of these rooms! The all white and cream room is so stunning. I Love the detailing of the chandelier and oversized black mirror. I think that's why I like white so much. It makes the subtle details really pop and shine in their own right. Ooooo, I know that feelin'! I wish my bedroom was fully put together. I need summer bedding. LOL! Oy ve! Too much going on around here. Thanks for stopping by and checking out the bathroom reno. It's been fun, but a headache. I see the light at the end of the tunnel, I'm just hoping it's not a train! LOL! those bedrooms are sick! LOOOVE them! ok...bookmarking this post!! so much great inspiration! thanks! Oh yes, I had one of those days ~ yesterday! 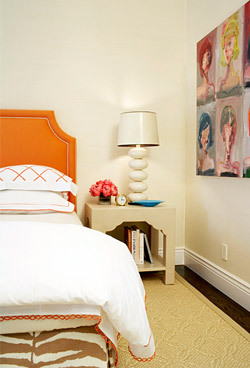 Such lovely pictures ~ the one with the coral pillows is my fav! I want our master bedroom to look like ALL of these. Yum. Great post!! i hear ya! and that second image....my dream. Love it! love these! of course, there's nothing like your own bed. Now you know why I enjoyed my days off last week so much!!! I did crawl back into bed, and it was lovely! 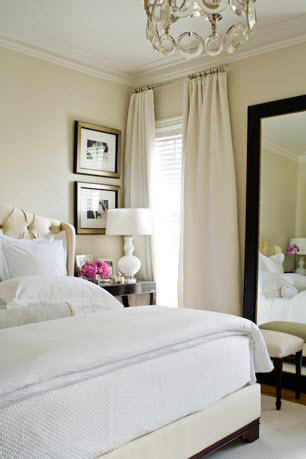 These bedrooms are all great! I think you were able to find a bedroom for everyone's taste, from glam to simple. 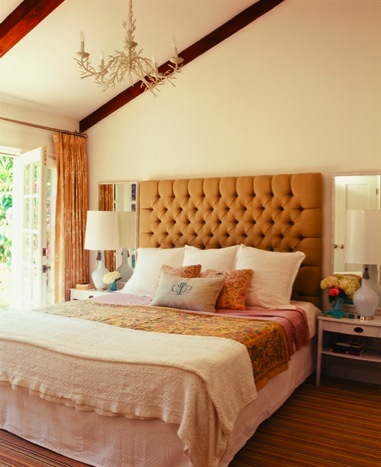 Pretty rooms!! i love them all. really i do. but i think i am gonna go #5.
it was a hard choice. believe me. I get that feeling EVERY single morning! Ha! LOVE all these colorful images! The bedroom in the 5th picture down looks soooo serene/calming. Just want to lay my head down! Also - love the mirror in the last picture, was contemplating getting that for above our fireplace in the dining room. And yes, I definitely get that feeling - especially on grey, cold days! These are all beautiful, but the first one would have been my dream room when I was in junior high - I was OBSESSED with purple back then!